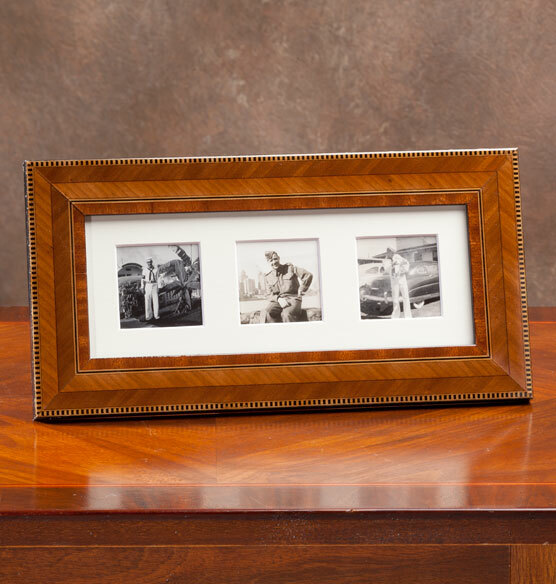 Our marvelous Italian marquetry design with the play of light and dark woods, plus the intricate inlaid pattern, makes this frame extra rich - and great as a group. 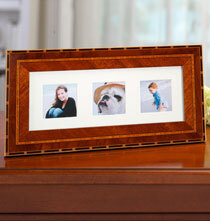 Looks great in a family room or office. 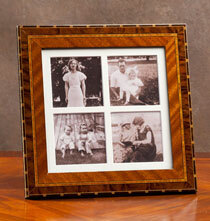 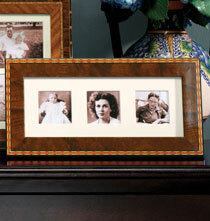 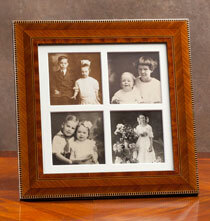 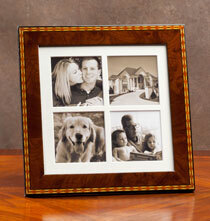 beautiful wood, table top frame instead of hanging on wall, and room for 3 different pictures.